THE COUNTRY’S PRIMARY school principals are at “breaking point” said the General Secretary of the Irish National Teachers Organisation (INTO). Speaking at their annual conference today, Sheila Nunan has demanded an end to the moratorium on promotion in primary schools. Addressing the Minister for Education Ruairi Quinn she criticised that since 2008, posts lost through retirement or teachers moving jobs have not been replaced. She said that the the country’s primary school principals had been badly affected by this promotion embargo and other staffing cuts. Nunan said that school principals were being stretched too far, with two thirds of primary schools have teaching principals who have a full-time teaching responsibility. She called for release time from classroom teaching of one day per week to cope with the workload of school administration. 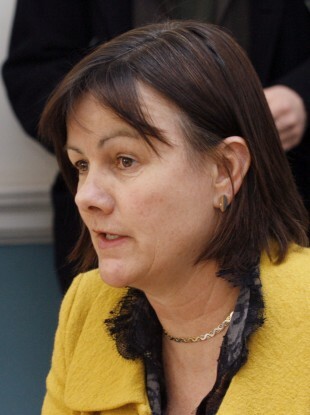 Nunan was also critical of the new initiatives being introduced when the resources are not put in place to implement them, stating that schools are being told to take on initiatives in literacy, numeracy and tackling bullying but there “is absolutely no understanding of the lack of support or backup available to principals to lead these duties”. “A review of principals’ workload with realisable solutions is a matter of urgency,” said Nunan. She said Minister Quinn “could talk as much as he wanted about modernisation, reform agendas, improvement or change but it would only ever be an illusion, a smokescreen and ultimately a waste of time”. Nunan also called for the pension levy on public servants to be phased out, stating it was “unfair”. Email “Ireland's primary school principals are at breaking point, says INTO”. Feedback on “Ireland's primary school principals are at breaking point, says INTO”.